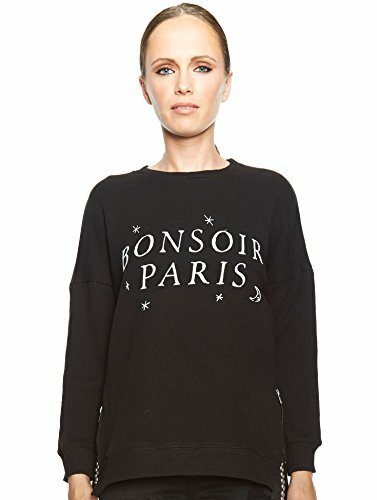 Our latest black sweatshirt takes a playful turn with a 'Bonsoir Paris' print across the front and zips fasten at the sides, making it cool for all-day wear. Consider it the perfect accompaniment to distressed jeans and trainers. Fabric: 100% Cotton French Terry. If you have any questions about this product by CHRLDR, contact us by completing and submitting the form below. If you are looking for a specif part number, please include it with your message.